An example sketch map, showing a simple outline of city subway map. 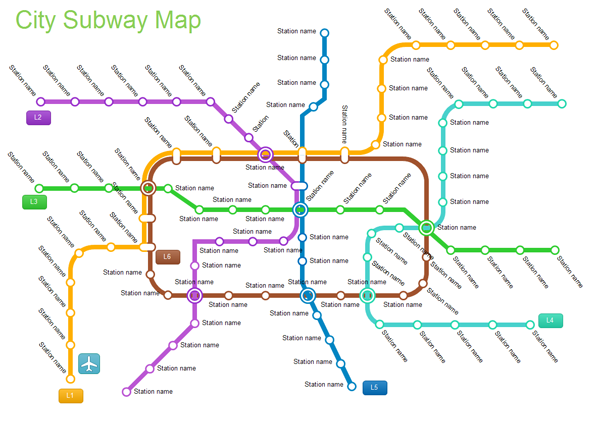 The subway map is vector and can be edited or export to svg format. Free download Metro Map Software.